To stand out from the crowd, you can customize your own ringtone for mobile phones. Then how to create a personalized ringtone? An easy-to-use ringtone maker is necessary. You can make ringtones online or with a reliable 3rd-party program. To save your money and time, here we collect 5 best free ringtone makers for you to cut, edit and personalize amazing ringtones effectively and effortlessly on PC. FAVsoft Free Ringtone Maker is a simple yet powerful ringtone creating tool that enables you to generate a satisfied ringtone within 3 easy steps. You just need to input the song, cut the best part and add specific effects you desire and then save it. The programs supports a wide range of digital audio formats including MP3, AAC, FLAC, WMA, WAV, OGG, AC3, AIFF, MP2, M4A, APE, RA, RAM, CDA, VOX, TTA and more. And it is compatible with all mobile phones like Samsung, Apple iPhone, LG, Nokia, BlackBerry, Palm, Motorola, Sony Ericsson, Blackberry, iTunes, etc. In addition, you are even allowed to extract music from CD files. To express your personality, you can also apply many audio effects such as fade in/out, normalize, echo, etc. 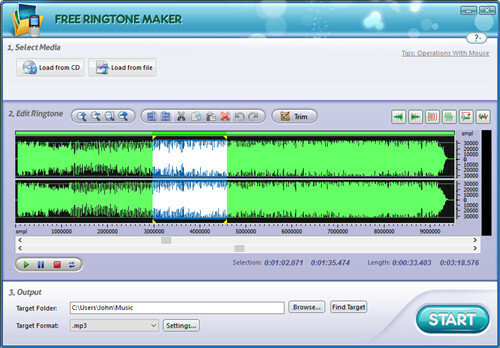 This is an easy-to-use and 100% free ringtone maker for PC. 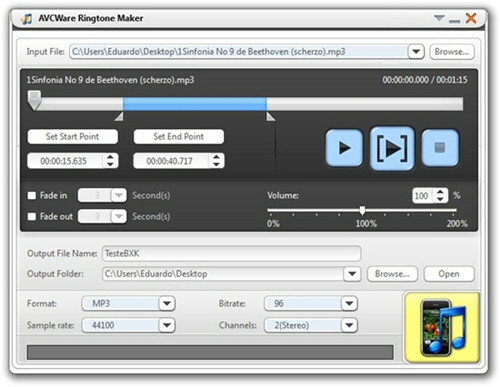 With AVCWare Free Ringtone Maker, you can easily turn any video and audio file to mobile ringtones. It supports many different input and output audio file formats including MP3, WAV, WMA, M4A, OGG, AC3, AAC, RA, AMR, etc and most of popular mobile phone models such as iPhone and Samsung gadgets, etc. You can also load audio tracks from your beloved films or videos and make them to ringtones in MP3, M4R and other format. Moreover, AVCWare Free Rintone Maker enables you to add fade in and fade out effects or set the length of your customizable ringtone precisely. To show your taste, you can make unique ringtones for your smartphone with Freemore Ringtone Maker. 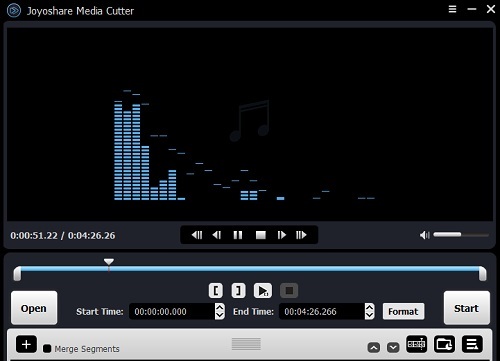 The software allows you to cut one or more clips from an audio file and add attractive sound effects such as amplify, fade, delay, reverse, silence, etc. to the ringtone. Alternatively, you can directly record any sound as ringtones thanks to its built-in audio recorder. You can create ringtones from various audio files like MP3, WMA, AAC, FLAC, WAV, OGG, AC3, AIFF, MP2, M4A, APE, CDA, etc. This is a free ringtone maker for iPhones and other mobile phones such as Samsung, LG, Nokia, Motorola, etc. Freemore Ringtone Maker also works as a player, so that you can playback the audio file, preview and hear until you’re satisfied with the ringtone you’ve made. 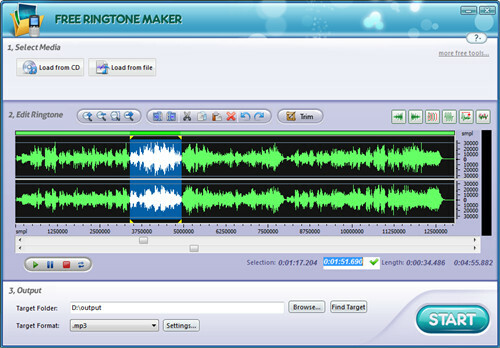 Free Ringtone Maker Platinum is an awesome ringtone maker for Windows 10 that can help users make wonderful ringtones from many music sources. It supports tons of input audio file formats including MP3, WAV, WMA, AAC, FLAC, OGG, APE, AC3, AIFF, M4A, CDA, RA, etc. 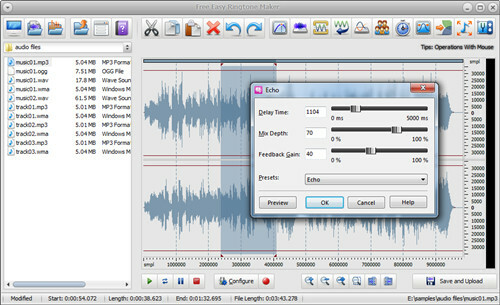 with output formats such as MP3, WMA, WAV, etc. being suitable for almost all popular mobile phones including iPhone, Samsung, Sony Ericsson, Nokia, Motorola and so on. Besides, you’re enabled to cut, trim, mix, edit and add special music effects to enhance your ringtones. You are also allowed to change the output ringtone settings like bitrate, frequency, channels and quality level. As its name implies, Free Easy Ringtone Maker has an easy-to-navigate interface so that you can work smoothly with it. The program allows you take the whole song as a ringtone, or cut down the audio clips you want to make ringtones. You can also extract audio tracks from CD files. Any music files in the formats of WAV, MP3, MPEG, CDA, OGG, VOX, RAW, AIFF, etc can be converted and customized as ringtones for most popular mobile phones. With Free Easy Ringtone Maker, you can easily trim, edit, add special sound effects, zoom in or zoom out, redo or undo, change the bitrate and audio channel and do the other operation according to your specific needs. The above-mentioned free ringtone makers are listed here for your reference. You can read the description, pros and cons of each program and find one that fits your needs. 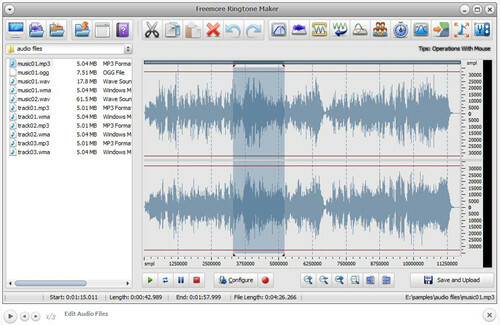 If all these freeware still cannot meet your demands, maybe you can consider a paid ringtone maker such as Joyoshare Media Cutter. This is a smart professional audio cutter and ringtone maker as well. It is capable of cutting any audio clips fast in a millisecond-level precision and with no quality loss. You can also add amazing sound effects to your ringtone and customize it as you like. Besides, the software allows you to load audio from video, remove noise from audio file, and convert the finished ringtone in many formats like MP3, FLAC, AIFF, AAC, AC3, AU, WAV, WMA, MKA, APE, OGG, M4A, M4R, etc. After that, you can export your personalized ringtone onto most common mobile phones or devices such as Apple iPhone, iPad, Samsung, Blackberry Bold, Motorola Droid, LG Optimus, Windows Phone and Android Generic, etc.